Are you being as effective on emails as possible, or are they bogging you down in your business? Let’s go find out how we can help with some email effectiveness. Hi all, Nathan McDonald here for another On the Mats episode, and today we’re going to talk about emails. Yes, they’re a great tool for business, but they affect your time; they affect how long you spend in your business. And reality is, we can get bogged down in them, and I don’t know if you have experienced that; I know I’ve experienced it plenty of times. And it’s like a vicious cycle that goes round and around and around. So, how do we go and get your time back, or how do we make your emails as effective as possible? One of the best things that you can do is only open your emails at certain times. So many people have their emails showing that there’s a notification, ‘Hey, you’ve got a new email’. ‘Oh, cool! I’ve got a new email from Joe, great! Let’s go and read that.’ And you go and interrupt all the work that you’ve been doing beforehand. Is that you? Do you always open up an email that you see coming through if it was from someone special or someone you’ve been waiting for? Go and turn those notifications off; go and turn your email off and set in your diary only to check your emails maybe first thing in the morning and the last thing in the afternoon. If it was important – that email being sent to you – the person would have called you to let you it’s urgent. So, emails aren’t as urgent or as important as what you’re expecting, and reality is, it’s easy to turn them off. So, go and do that; that will really help with some of the effectiveness of emails. The next thing that you want to do is when you finally open up the emails – maybe first thing in the morning or the afternoon – do it like an email race. Sit there and go, ‘Right, how many emails can I knock off in 30 minutes?’ And just literally smash them – go through, don’t write long answers. If the email that you’ve got to respond back to is more than a paragraph, ring the person. It is not worth spending hours and hours typing up this email – and I’ve seen it, and I’ve done it myself – how you seen these emails that are massive. One, the reader probably doesn’t want to read a massive email, because they don’t have time; they’re probably time-poor. And two, it takes you so long to type. How quickly can you actually talk versus type? Way quicker. So, if it’s longer than a paragraph, just ring the person. It’s a lot easier to communicate that way. Now, what happens if you need it for a reference – because I hear a lot of people go, ‘Oh, I need it to say that I sent something’. Well, that’s great; what you do is you actually put point forms. You sit there and write, ‘Hey, here are point forms that I’m going to call you about: blah, blah, blah, blah, blah…’ and then ring the person, because at least you’ve got it in writing to say you’ve actually discussed that. And if it means a follow-up email after discussion to say, ‘These are the action points that we’re going to do’ – point form: bang, bang, bang, bang, bang – send. It is so much more effective running your emails that way. So no longer than a paragraph, give the person a call; it’s a lot easier to get your message across. Now, here’s a challenging point for you, and this is something that I’ve only implemented recently and it has been working a treat: I’ve set up my own personal email address that is just for me, and only a handful of people actually have that. My old email address – which I was getting over 120 emails a day on – is now being checked by my assistant, so the assistant will only forward me emails that are important. And reality is, I’m only getting 3 or 4 emails – out of that 120 I’m only getting 3 or 4 sent to me; the rest are being managed by someone else, and that has saved so much time. I’ve literally cut emails from 120 down to roughly about 10 a day, and that is a lot easier to manage than sitting up for 2 to 3 hours working through emails in the evening like I used to do. So, invest in someone that can actually check your emails for you, and then only get the important ones – that is one of the best things that you can do in your business. So guys, I hope you really enjoyed those points; let’s go and implement them in your business. Watch the difference; you won’t be sitting there spending hours on emails anymore. And guys, look, if you’re really interested, there’s a great time management course: Black Belt in Time. 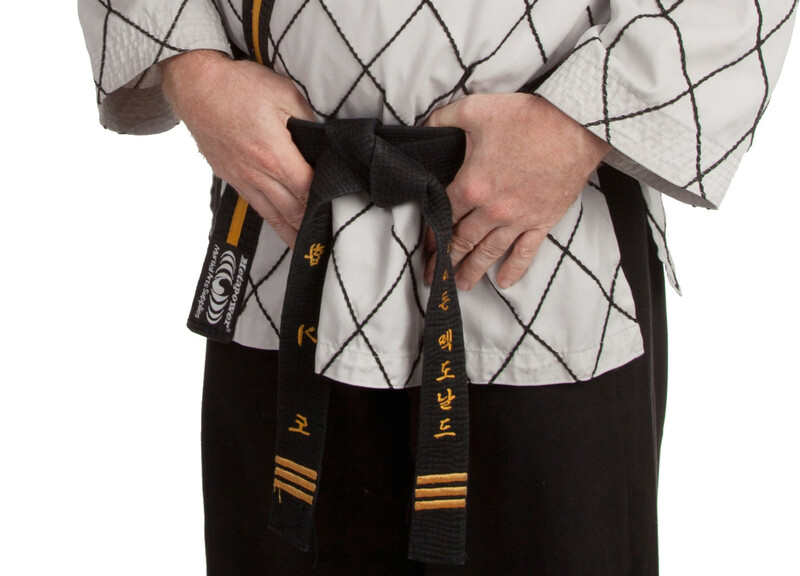 How would you like to get your black belt in time management? Click the link below; that will take you to a website where we’ll show you how to do that. We have a great time management program for you to really help with that. Part of it is how to deal with your emails, but there is a whole lot more in there. So click the link below, and come and get your Black Belt in Time. So, that’s it for me. Hopefully you can get very effective with your emails. My name is Nathan McDonald; I’m an Aussie, my passion is business, my message is global. Bye for now!